A case of Kwashiorkor treated by a nurse, not by me, a doctor, but I would like to share this case to show as an example what an insight to perceive a case is. According to naturopaths one good saying is 'if once stomach is good, diseases will be far away'. According to naturopathy science half of the diseases of mankind are because of the stomach. May I include this Kwashiorkor disease in this category? Why not, yes certainly studies have shown that in protein deprivations Kwashiorkor like disease may occur. It is because if no proper nutrition, no proper cell's size growth. Less caloric diet means less caloric nutrition, in medical nomenclature which comes under the head – Problems due to malnutrition. Researcher says due to this when an individual receiving less amount of this essential factor the size of the cells of that individual is not going to grow as per to that in the natural way. Simran (then 4yrs. old female child) had all these qualities; her head was the seat of all such germs which grow on such conditions where the self of a person cannot defend one's self from the other non self. Pathogens and all other bacteria and viruses are non selves. However the books of medicine may reveal why and when this mysterious disease or condition may occur, just because of the nutrition i.e. the feed of an individual or the kind of food which wood called as malnutrition. 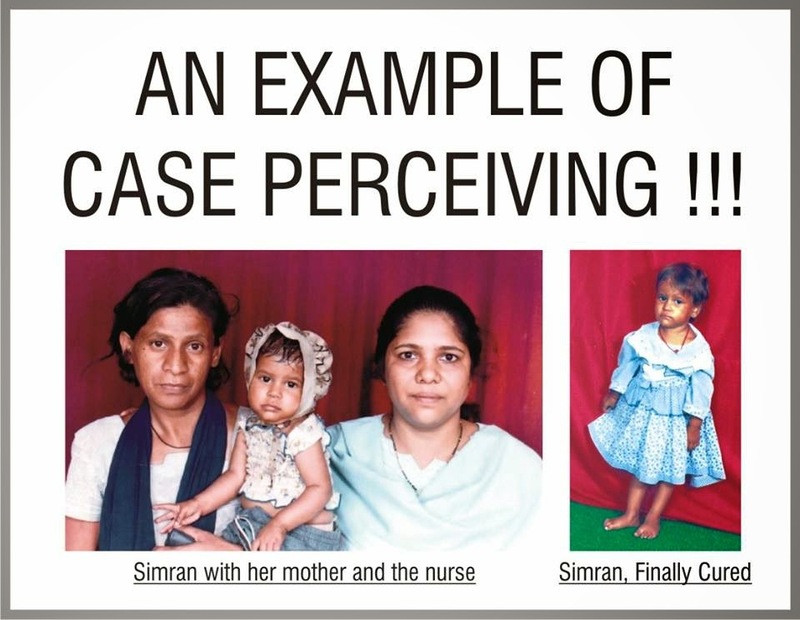 The story of Simran is that she was the daughter of an flower selling mother who used to make flower garlands, was not having her own home, was residing on the platform of Mira Road railway station (a suburban area of Mumbai). Her daughter used to fell sick very off and on, was suffering from variety of chronic ailments, one such was the skin affection of her head. Whenever she fell into some acute problem her mother used to take her to nearby doctors of that locality and used to say that she in fact stopped eating after the first dose of polio vaccine which was given when the child was 8 months old. But no doctors believed her theory, and were treating her as per the clinical conditions and sufferings. On one occasion the child developed serious respiratory complication and was gasping and for which was advice to take her to the government hospital (KEM of Mumbai). Her mother with no money and assistance to accompany her was crying on the platform of Mira Road Railway station. Margret Mendocino, a nurse who was working at the academy at that time spotted this woman who was crying with her child. The first thing which mother had told her was the same that 'my child stopped eating after receiving that particular vaccine. She told her that her daughter also stopped taking breast feed after that. This kind nurse with the zeal of service to humanity took her to the academy considering that some doctors attached to that would help her. But unfortunately or fortunately no doctor was there in the academy. So she decided the remedy of herself. She gave the child Thuja 200 single dose considering and also believing the statement of her mother that the ailments of her child had started after receiving that vaccine so much so that she had also stopped taking her breast feed. A dose of Thuja stabilized the case, later I treated and she recovered fast. But I give the credit to that nurse Margret who was the part of Aarish Academy those days. I would like to conclude a physician must have that brain and thinking to understand the language of the patient who wants to narrate their problems ex temporarily. A live vaccine which contains such pathogens which can invade genomes, the cells which carry genes which a human receive from another human! If will be tampered then the results will be in variety of forms and one which was that the mother this child was telling to doctors. So, listen carefully to your patients and not just react as per your knowledge.